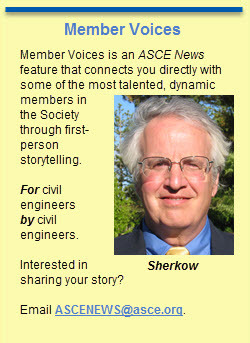 Franklin Sherkow, P.E., ENV SP, is an ASCE Fellow and Life Member, and former President of ASCE’s Oregon Section. He was on the civil engineering faculty at Oregon State University for six years before returning to consulting. 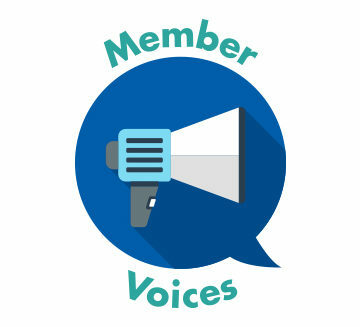 In today’s Member Voices, he recalls a lesson on leadership he taught to his college classes, and looks at what those conversations can teach us about future engineers. More and more, civil engineers are being asked to be strong and capable leaders in the private and public sectors, as well as their communities. However, leadership is not studied or discussed enough in our academic training programs. Leadership is something that our young civil engineering students must learn more about and be able to exercise in the university setting and early stages of their careers. The dictionary defines leadership as “the action of leading a group of people or an organization.” Some students are able to “exercise” their leadership “muscles” with their school activities, summer jobs, youth/religious organizations, athletic teams, military service, and other situations. However, this doesn’t touch all students or all young engineers, and usually does not come with formal training. Leadership in teams, projects, public agencies, and private firms is most often learned on the job. Many learn by watching supervisors or peers. Although this can be successful, it doesn’t allow young leadership practitioners to learn about successful/unsuccessful applications, different styles, helpful tools, and other aspects of being a leader. It also leaves individuals with little margin for error in their leadership experience if challenges arise. If one searches online for help in expanding knowledge about leadership, you can expect to find at least 371 million references to the subject. Although more is better, this can be overwhelming if one is trying to find concise or immediate help on the topic. At Oregon State University, as part of the Capstone Project and Professional Practices courses for civil engineers, I brought professional civil engineers into the classroom who had notable leadership exercises in their engineering careers and other life endeavors. One of the successful lectures that we repeatedly made use of over four years, with a companion lecture, involved the United States Marine Corps Leadership Trait List. Definition – The certainty of proper performance of duty. Significance – The quality that permits a senior to assign a task to a junior with the understanding that it will be accomplished with minimum supervision. Example – The squad leader ensures that his/her squad falls out in the proper uniform without having been told to by the platoon sergeant. a. What leadership trait from the USMC list is most important to you, and why? b. What makes a good leader? Give a personal or observed example. c. Is a person’s character important in being a good leader? Why or why not? Give an example. d. What is your external standard or “measure device” you use to evaluate your own personal character? 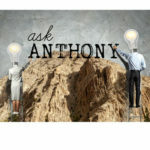 Concerning the first question (What leadership trait from the USMC list is most important to you? ), we also allowed them to expand the list by adding more traits not mentioned in the USMC list. 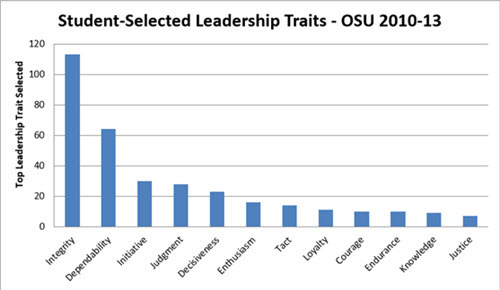 Table 1 (below) is the summary of the leadership traits selected by the students each year, and the four-year total. There were 100 to 115 students in each class, all of whom were seniors. The top 12 leadership traits selected from the USMC list (plus others added by students) represent approximately 86 percent of the total classes (2010-13). So, there was strong agreement among the students concerning these top traits. The same data is shown in Figure 1, below. Note that “Integrity” and “Dependability” were the traits that dominated each year’s selection. 1. The order of traits selected could be influenced by the lecture given just prior to the assignment. 2. The traits selected are certainly influenced by the life experience of each student. 3. Students, for the most part, have limited leadership experience, so their selections may be less informed than would be those from more experienced leaders. 4. Selections may be colored by current events in the news or changing social attitudes. 5. Other factors may influence selection. It would be interesting to see how the order of these traits might change over the careers of these students. 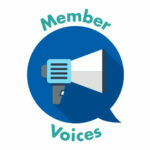 However, knowing what students believe as they enter the workforce is/should be of considerable interest to employers, team members, and peers. This information could be a factor in establishing training programs and leadership exercises for young engineers. I would suggest that agencies and A/E firms begin to survey employees using the same USMC traits list as part of leadership training courses and the entry process for new employees. This information could also be used by existing and new supervisors, allowing them to see how their subordinates view a variety of leadership traits. This could encourage new supervisors to exhibit a wider range of leadership traits in their own positions. In summary, young civil engineers who are ready to enter the workforce view integrity, dependability, initiative, judgment, and decisiveness as among the most important leadership traits (based on the USMC Leadership Trait List). This could be valuable information for training and career tracking, as well as for aspects of organizational performance. Can Pearl Harbor Teach Lessons for the Organizations and Companies of Today? I like the Marine Corps model and the use of the model in the curriculum. I wish we had something like this in our civil engineering curriculum back in the 1980’s. Good work, Oregon State University. I would bet that even in the year 2018, 30 years after I graduated from college, there is not enough opportunity to learn about, develop and practice leadership at the undergraduate level. Good article for civil engineering students.